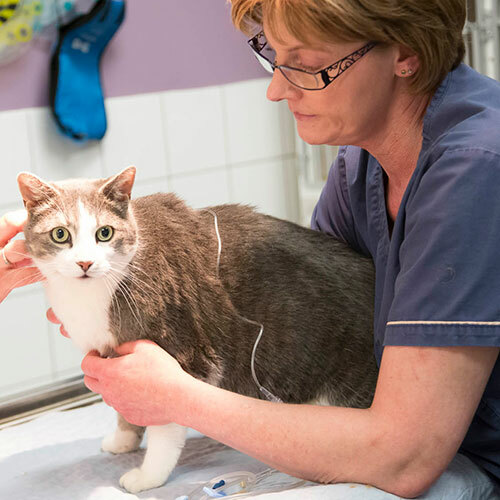 Our veterinarians and staff are devoted to staying on top of the latest diagnostics, treatments, and wellness programs to maintain your pet’s optimal health. 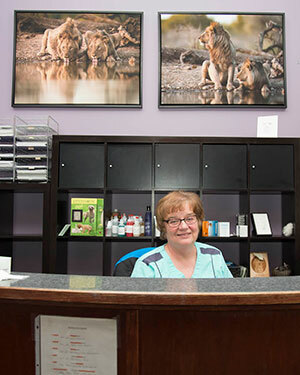 We care for cats, dogs and other small animals in Spruce Grove, Stony Plain and Parkland county. Exceptional medical care, courtesy & respect. 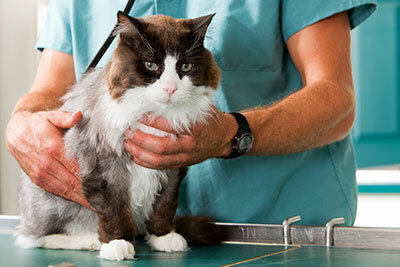 Our vets recommend a routine checkup for your pet, a minimum of once a year. Exams my include vaccinations to prevent illnesses, dental care, or nutritional consultations. 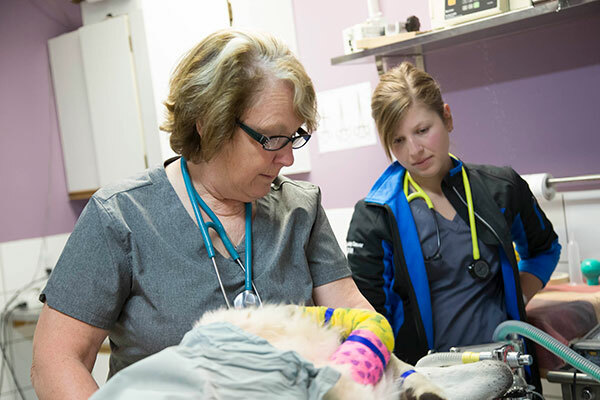 Our veterinarians and animal technicians are skilled in the most routine spay & neuter or dental surgeries, to more complex orthopedic or if needed, emergency pet surgery. 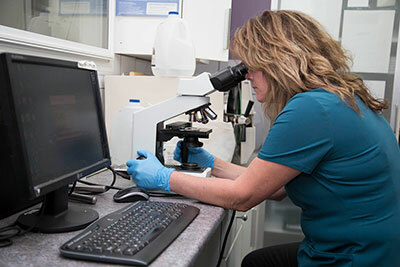 With a full service lab in our clinic, we're able to get rapid, accurate results and reduce the time of diagnosing any health conditions. The result is same day treatment for your pet. Why we’re best able to care for your pet. 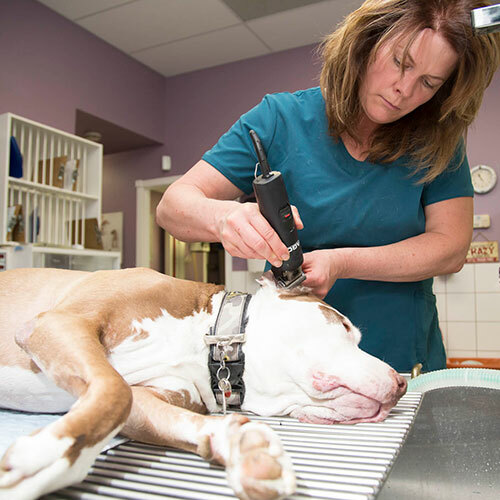 "Parkland Veterinary Clinic is a group of compassionate veterinarians and technicians focussed on appreciating the human-animal bond." A visit to a veterinary clinic can be a source of major stress for you and your pet, so we make every effort to reduce the stress as much as possible. We care for cats, dogs, rabbits, guinea pigs, hamsters and even alpacas and goats. We clean and prepare the examination area so that your pet can be immediately placed into their own room and have as few interactions as possible during your visit. Xrays are instrumental tools for your vet and can reveal a substantial amount of information with relation to your pet’s health. With an in house xray facility, your vet is quickly able to assess any isues and advise. Spaying and neutering your pet has many advantages to both you and your pet. 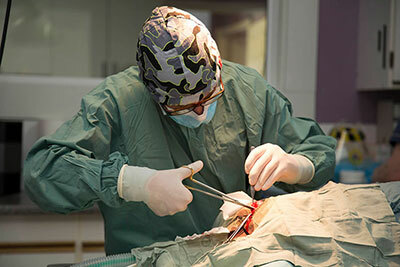 We can perform these surgeries for dogs, cats and rabbits. We provide all core vaccinations for kittens and puppies. Just as helpful for humans, ultrasound for pets will provide valuable insight into your pets health. Ultrasound is performed in house, as with xrays, allowing for quicker diagnosis. 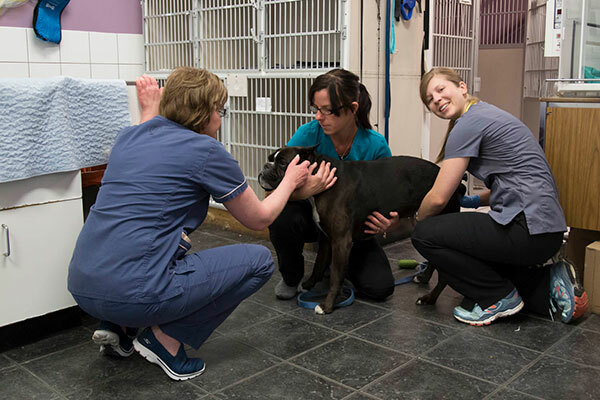 Our clinic offers preventive, regenerative and rehabilitative medicine to ensure that both yours and your pet’s needs are met optimally and in-house. We use laser therapy and are having great success with platlet rich plasma treatments. 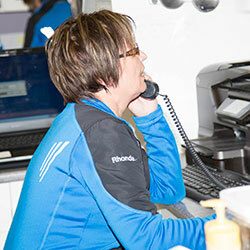 Our clinic runs on the technical skills of many people. 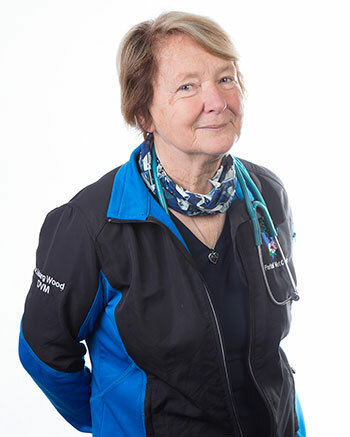 Our vets, animal health technicians, kennel staff and receptionists all come together as a single team to provide excellent care and comfort to your pet. We specialize in making sound dietary and nutritional recommendations for dogs and cats with medical conditions. 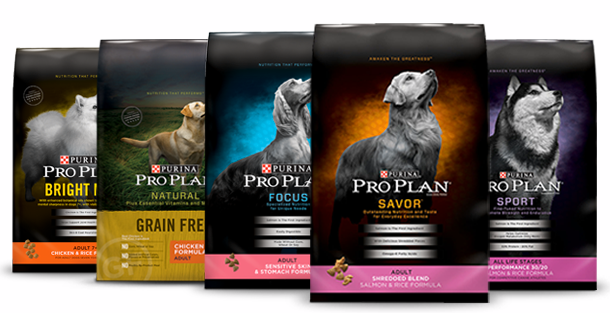 We make recommendations and formulate diets based on current principles of dietary management and the pets' food preferences. We offer choices based on the known current scientific literature and more than 25 yrs of clinical experience. 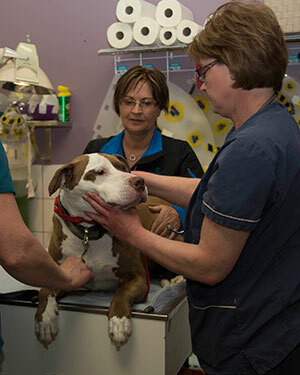 Parkland Vet Clinic strives to offer excellence in veterinary care to Spruce Grove, Parkland county, the Tri-Municipal area and all surrounding communities.